The Rise and Fall of a Professional Beauty. It was the affair that shook Victorian society to its core. He was the Prince of Wales, the future monarch; she was a professional beauty, who became a royal bedmate. Lillie is a story of scandal and intrigue; of notoriety and cold-hearted manipulation and of heart-wrenching, passionate romance. This lavish production follows the fascinating life of the Dean of Jersey's daughter from her modest childhood to her emergence as one of the most celebrated beauties of her time. Lillie's liaison with the heir to the throne marked only the beginning of a remarkable, scandalous and daring series of adventures in open defiance of accepted morality imposed by Victorian and Edwardian society. 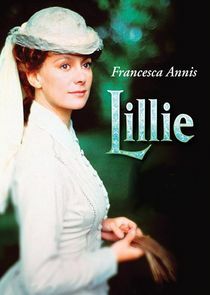 Trapped in a loveless marriage, Lillie soon takes full advantage of her beauty and enchantment, attracting many lovers including the Prince of Wales.